Viridis Fund I is a sound and measured vehicle for cannabis entrance, while maintaining the upside potential that makes the cannabis economy so exciting. Viridis is a closed-end private investment fund dedicated to cannabis industry investments, generally collateralized and income generating. The Fund focuses on opportunities that do not directly “touch the plant”, eliminating state registration and residency requirements and reducing Federal exposure. Principal examples of these opportunities include real estate and equipment. CereScan combines state-of-the-art brain imaging technologies with a patient-centered model of care to provide the highest level of neurodiagnostics available. Our computed tomography specialists are experienced in SPECT, PET and CT scans and work closely with practitioners to diagnose various conditions and give you the guidance you need to embark your road to treatment. Esports Entertainment Group Inc. is a licensed online-gambling company specializing in e-sports wagering and 18+ gaming. The Company offers bet-exchange-style wagering on e-sports events through a licensed, regulated, and secured platform to the global e-sports audience, currently excluding the US and EU, but with recent US SCOTUS decision, the market in the US could open rapidly. The Company also plans to offer users from around the world the ability to participate in multi-player mobile and PC video-game tournaments for cash prizes. Esports Entertainment is led by a team of industry professionals and technical experts from the online-gambling and video-game industries. Kaonetics Technologies, Inc. (“KTI”) is an innovation and technology-focused Delaware corporation with intellectual property that includes 15 patents developed over the past seven years. More than $10,000,000 has been invested to date in development of our current patent portfolio. We employ innovation and technology focused, patented technologies in the fields of physics and materials science to create highly innovative, groundbreaking solutions that address immediate and critical issues in military and commercial communications, counter-terrorism, bomb disablement, law enforcement, and alternative energy. KromaTiD’s mission is to transform the fields of gene editing, undiagnosed disease and oncology through discovery and detection of complex genetic changes. KromaTiD’s patented dGH™ chromosome imaging platform enables detection of all types of chromosomal rearrangements including previously undetectable cryptic inversions. Launched in 2013, KromaTiD’s research products and services are paving the way to a deeper understanding of genetic diseases, including cancers and developmental disorders. 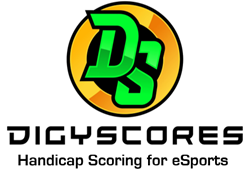 DigyScores is the leading handicap scoring and tournament platform for eSports. DigyScores operates competitive cash tournaments for games of skill on web and mobile platforms and their unique patent-pending logic creates the market’s first handicap scoring, similar to golf, where any player could compete against more skilled players and win prizes. BuildingDNA, the leader in visual intelligence for smarter, safer buildings is the Winner of the prestigious "Overall Smart City Solution of the Year" by IoT Breakthrough, an independent organization that recognized the top companies, technologies and products in the global Internet-of-Things (IoT) market today.